I just installed my new flat top/flat bottom alcantara steering wheel plus shift **** and boot from VetteCandy. Great quality, great feel and thick rim to hold onto! Everyone's entitled to their own opinions, as long as you love it congrats! 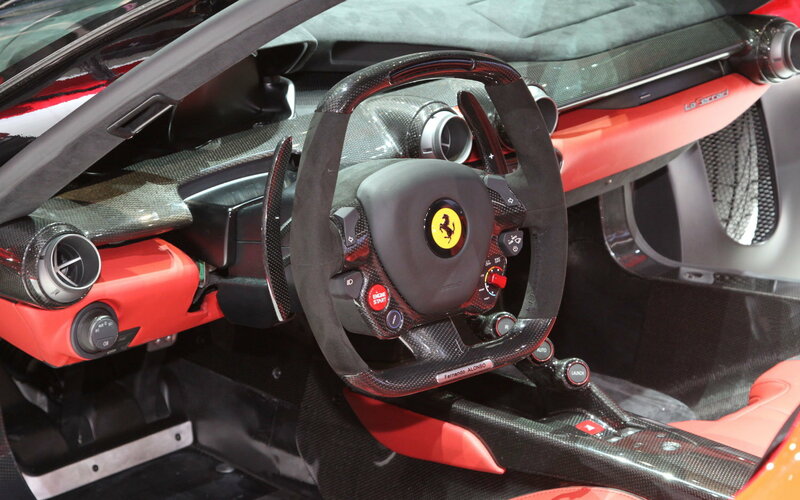 Personally I find it kind of hideous...not a big fan of "fuzzy" stuffed animal looking steering wheels and the shape looks very "bloblike." I find it kind of hideous...not a big fan of "fuzzy" stuffed animal looking steering wheels & the shape looks very "bloblike." I like the way you matched the 3 pieces. Nothing like personalizing your vette. Sergio and the folks at Vette Candy do very nice work. I actually have the "fuzzy" package and will be removing it all once my vehicle arrives. Sweet, DownSouth Vettes makes a great wheel. A bit surprised at the comments. I like it and like the centering stripe. I'd like to drive it before I bought it though. I like the "d" bottom and had hoped the C7 had gone to that. Perhaps the wheel is a little thick but a drive would tell me. leather. A standard high quality alcantara steering wheel came on my last foreign car and after you get used to it its hard to go back...at least for me. 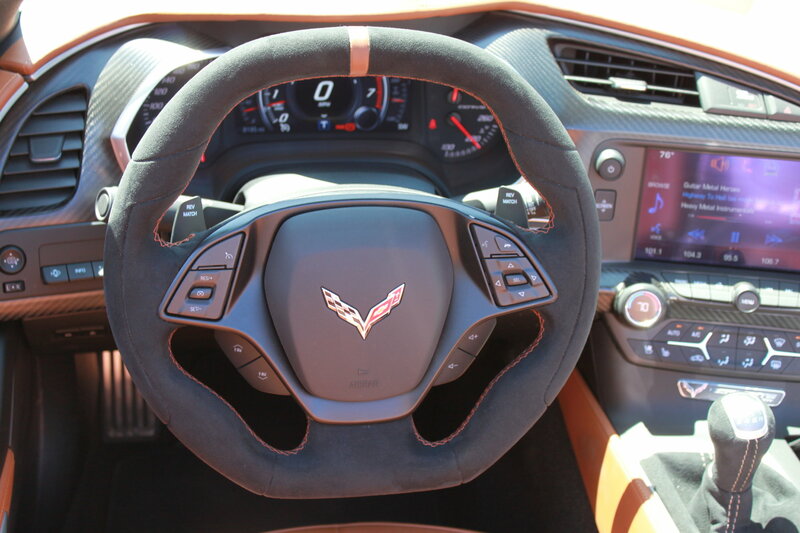 Some reports state that flat bottom will be standard on 2016 C7's...time will tell. types appear on some high end foreign mega buck vehicles. Do you think there's a demographic based opinion here? Younger guys liking flat bottomed more and older guys liking the round wheel more? Or am I crazy? Depends if the wheel is chrome or black.